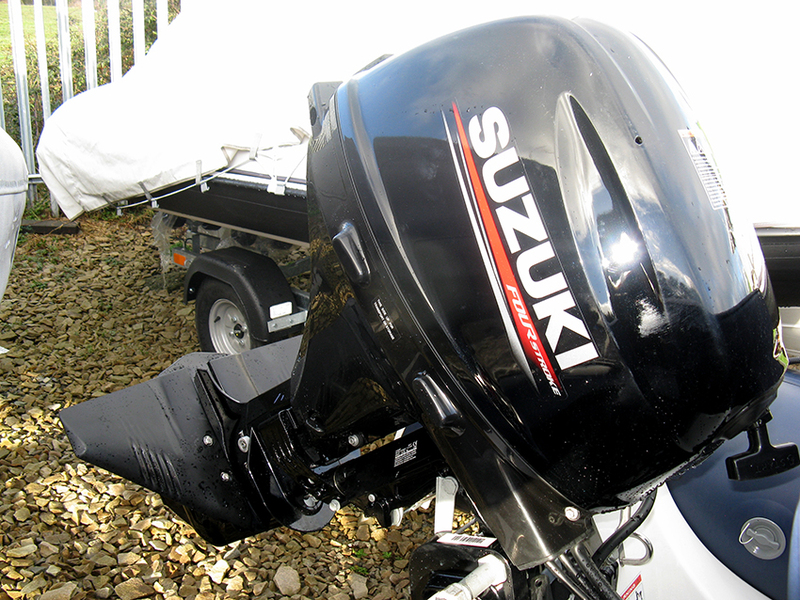 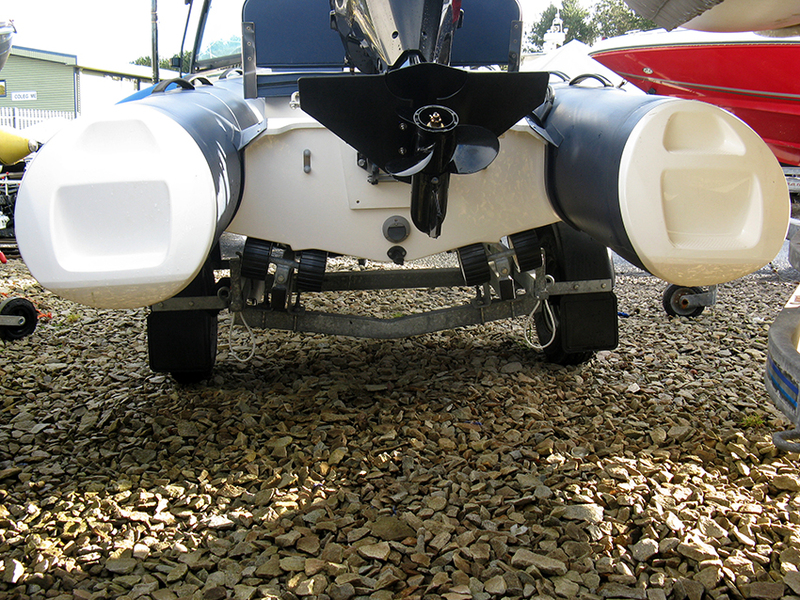 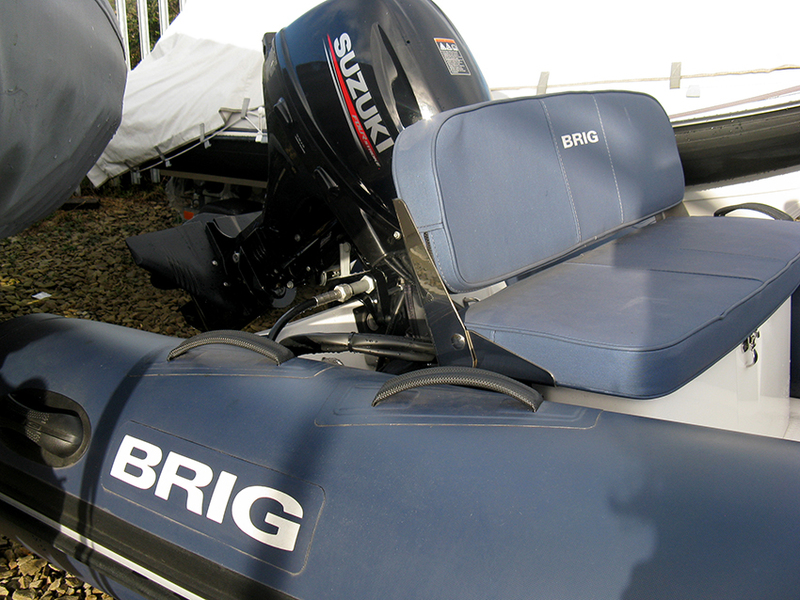 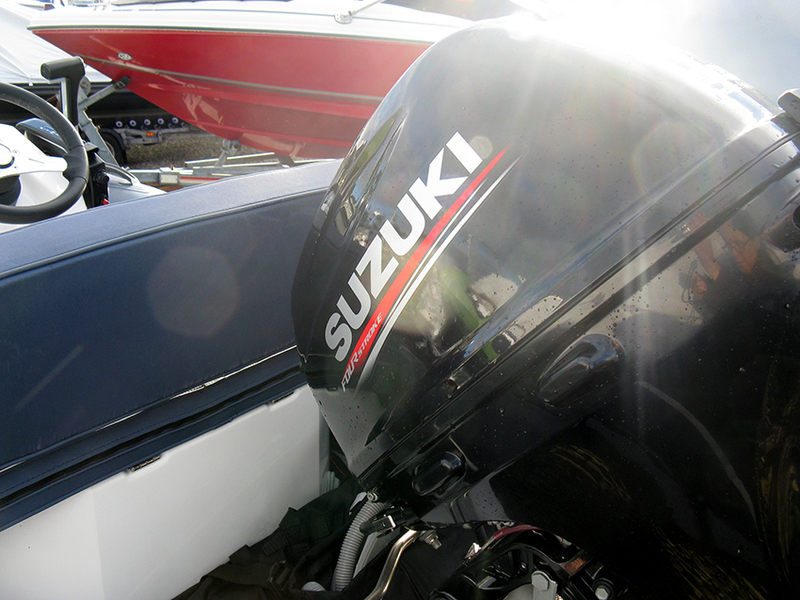 This Brig F330 is a new RIB powered by a 15hp Suzuki outboard engine and comes with an SBS roller coaster trailer. 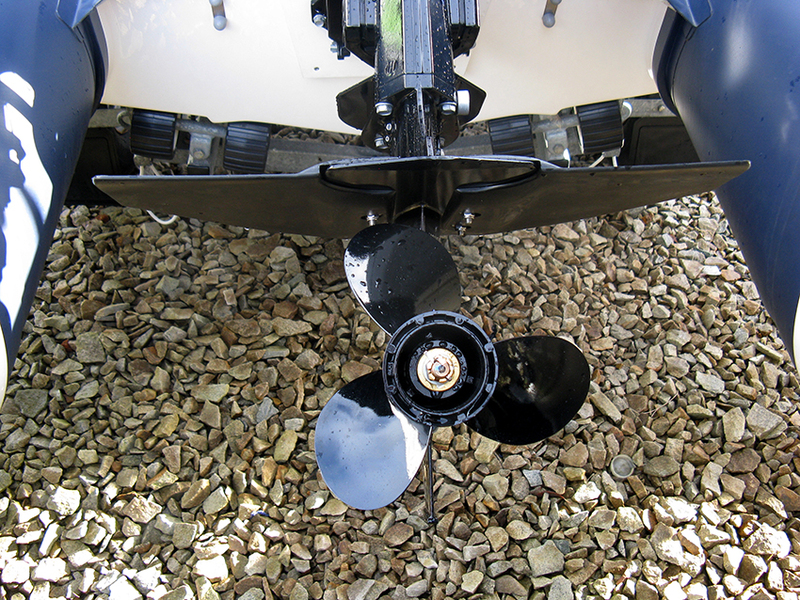 The Brig Falcon 330 has many innovative design features such as the tube stern end steps and bow step plate with integrated chrome-finish navigation lights. 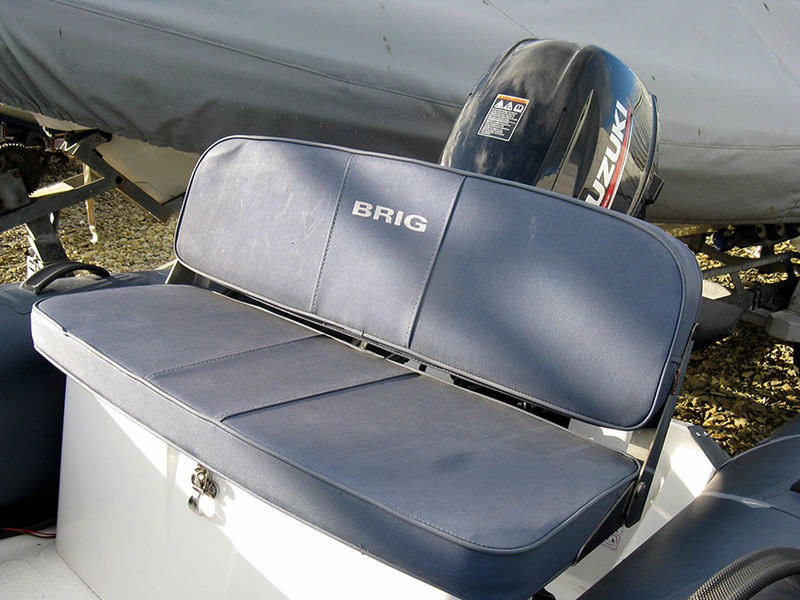 The deluxe folding bench seat and console side seat provide ample room for up to four passengers. 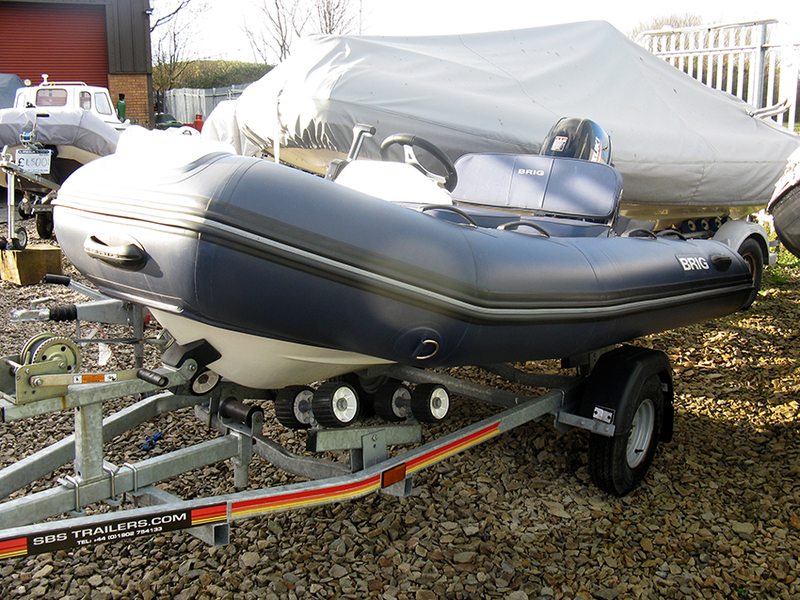 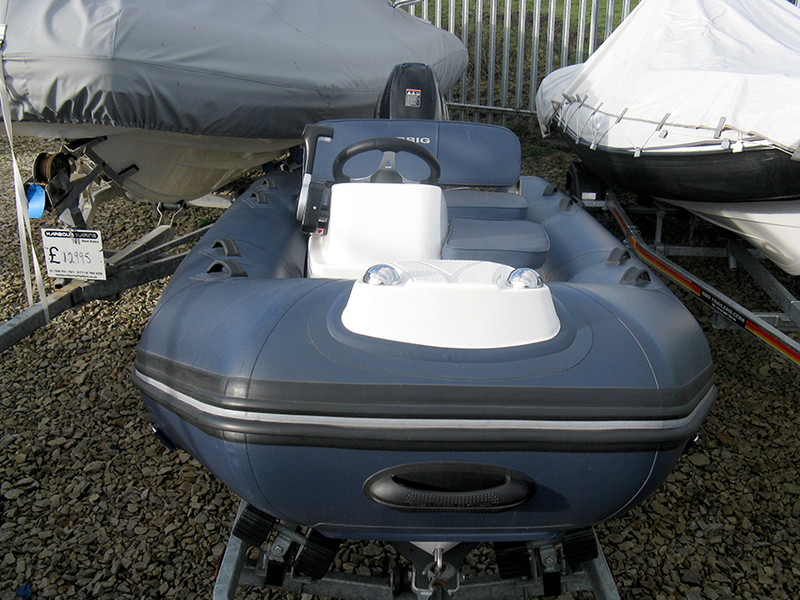 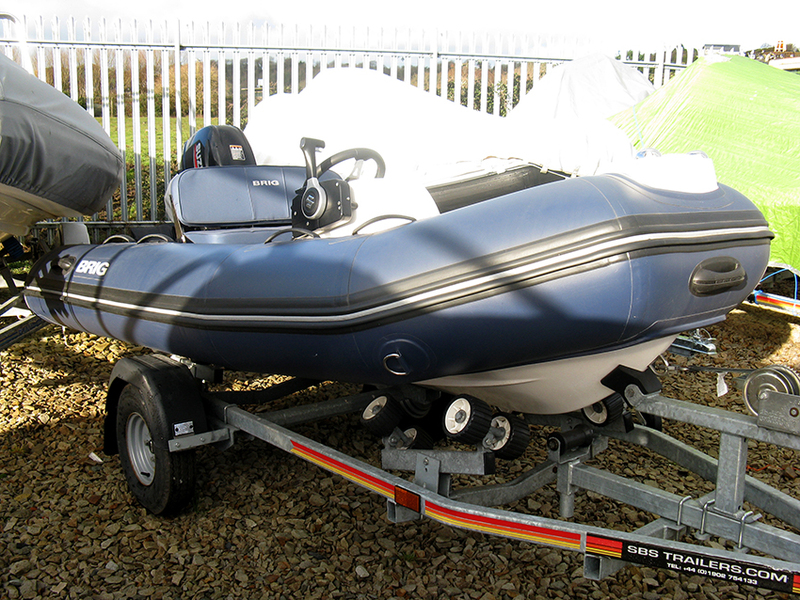 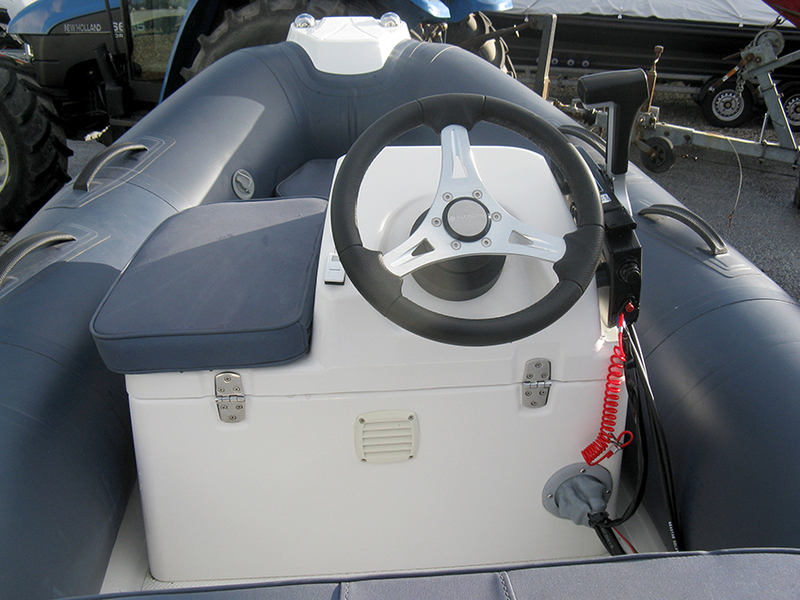 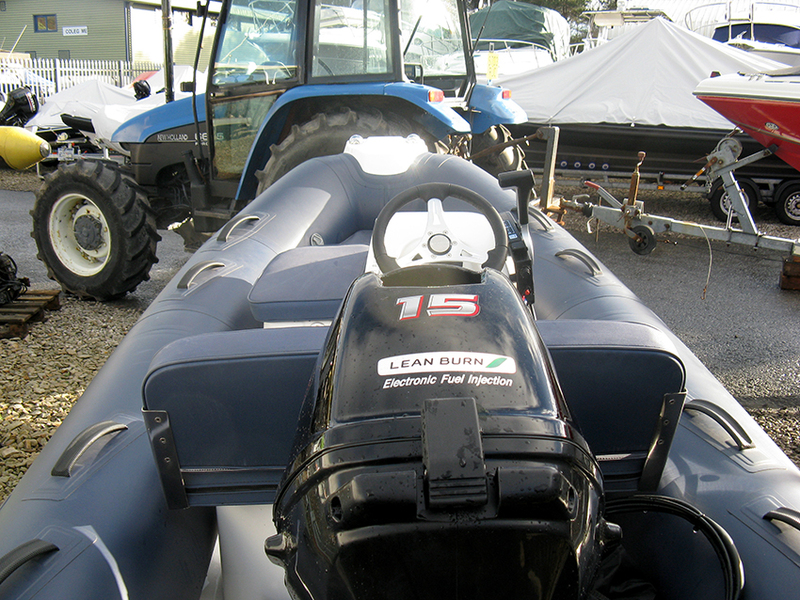 This is a superb and practical tender offered for sale at a very good price. 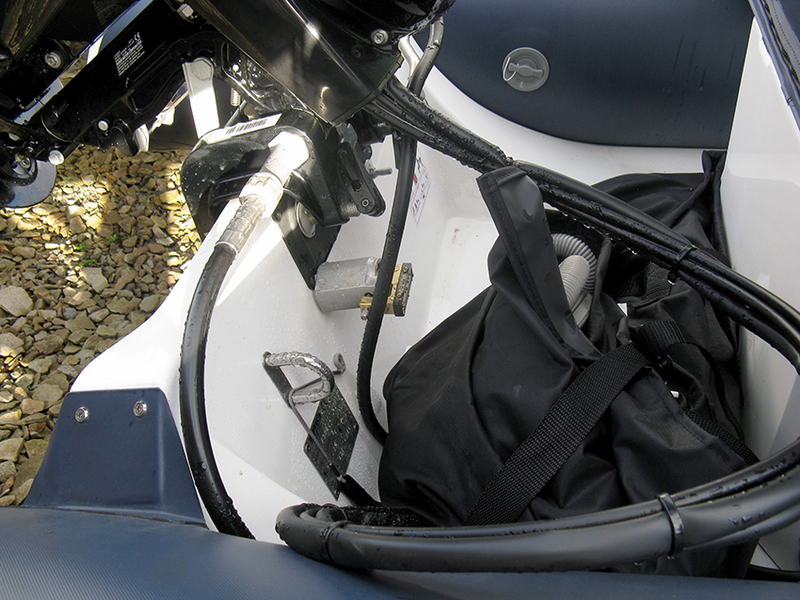 This Brig F300 has blue tubes with grab handles. 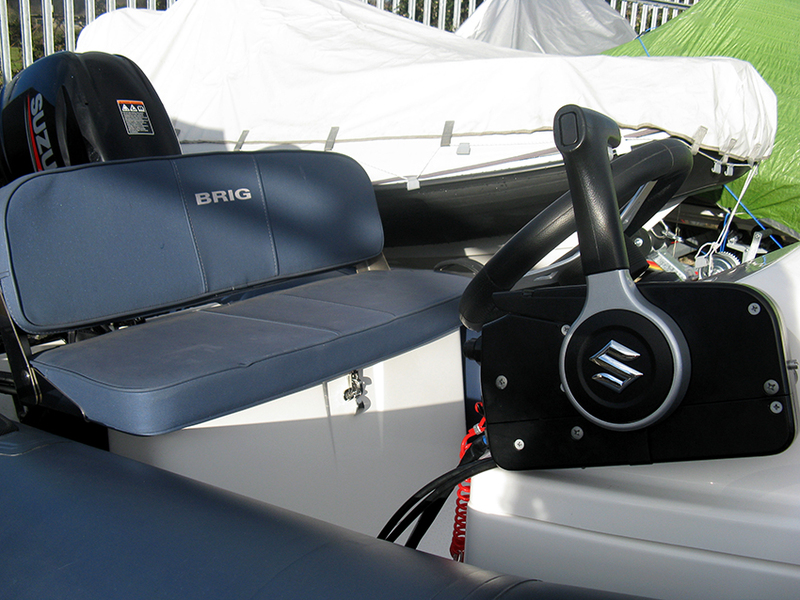 This new Brig Falcon 330 comes with the a Suzuki 15 hp engine and an SBS roller coaster trailer.